the letters from the past. 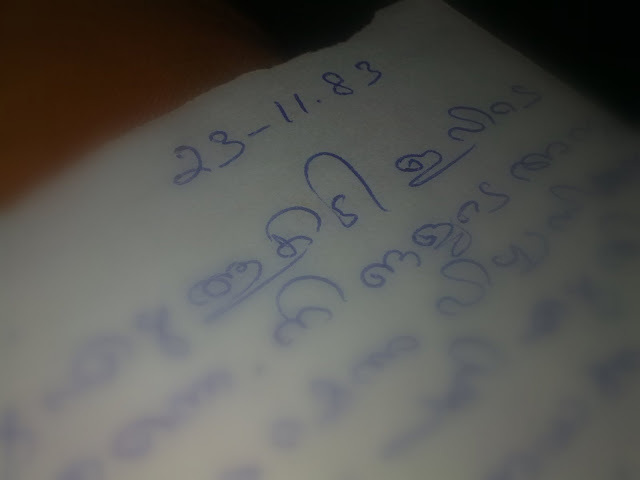 I still cherish those old times when letters were a source of cheer! Today, a lot of that has changed! Bad picture quality. Why didn't you try your dad's Sony Ericsson? The document mode of SE gives great clarity! 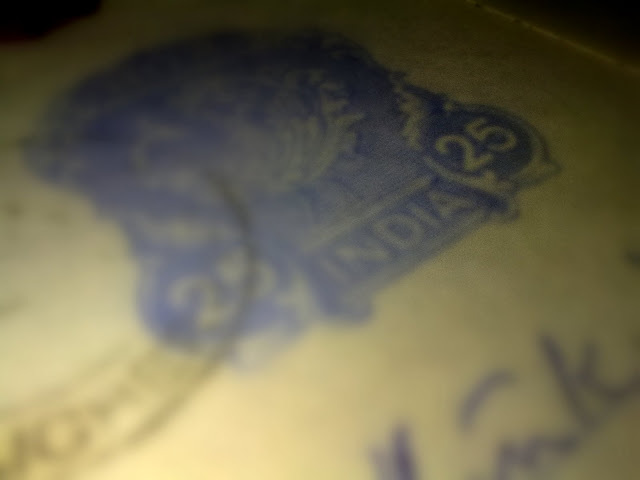 anything handwritten has more personal touch.. and hence is always special.. these days does anyone sit and write letters? i wonder..
:-) patha hein.. lekin dates tho clear hein na? true.. i still have those 5-6 year old greeting cards and letters kept safe in my shelf :). takes me to the good old past, every sight of it ! 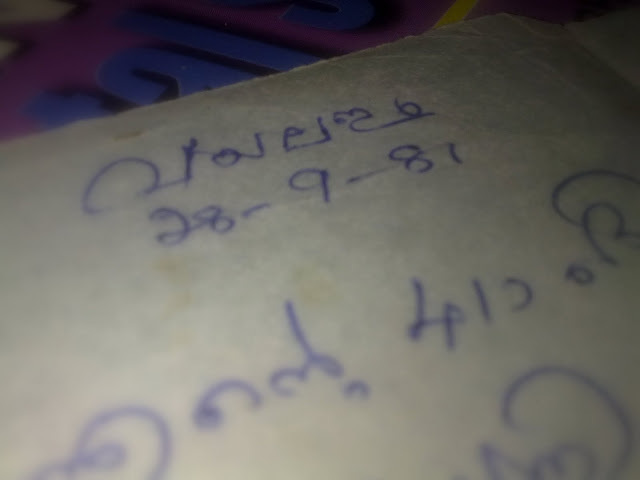 i still possess the diaries i wrote, those promises made to my dad that i will be the topper next time, to get my good old cycle :-) and yeah, which format next, only God knows ! 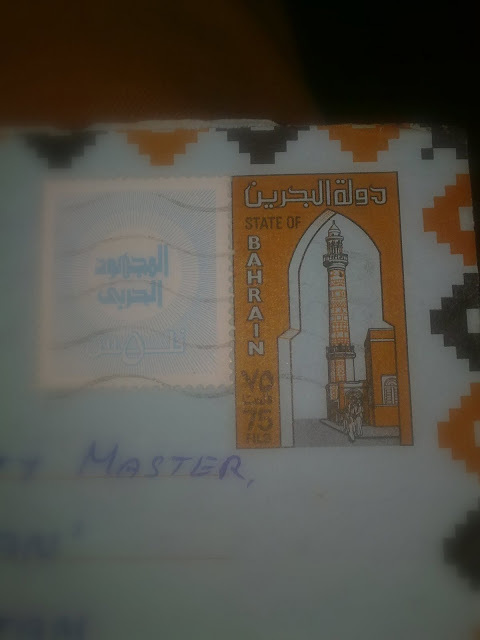 Letters are always a Haunting Nostalgia! B'cos hand scribbles make us feel better than "Times New Roman"font.Right?? .. and my wife will tell you about the 16 - 20 - 24 - 32 page letters we used to exchange! and i remember me sending greeting cards to all my friends and even to the school that i studied till 7th :) but guess greetings cards still do remain as one thing sent by post !